Discover the power of passion and perseverance. Our personal brand of grit is critically dependent on other people in our lives. Duckworth says we can “grow our grit from the inside out” by cultivating interests, by developing habits of daily practice that challenge us to exceed our current skill set, by connecting to a life of purpose and, ultimately, by practicing hope and optimism as a normal state of mind. We also can “grow our grit from the outside in” with great parents, coaches, teachers, bosses, mentors and friends. Duckworth recently joined Lashaun Dale and the 24Life team in a lively conversation on these topics. 24Life: What is grit, and why is it important? Angela Duckworth: Grit is passion and perseverance for very long-term goals. Sticking with your future, day in, day out, not just for the week, not just for the month, but for years, and working really hard to make that future a reality. Grit is living life like it’s a marathon, not a sprint. 24Life: How did you become interested in grit? AD: When I was 27 years old, I left a very demanding job in management consulting for a career teaching seventh-graders math in the New York City public schools. Like any teacher, I made quizzes, tests and I gave out homework assignments. What struck me was that IQ was not the only difference between my best and my worst students. Some of my strongest performers did not have stratospheric IQ scores. I was firmly convinced that every one of my students could learn what they needed to learn if they worked hard and long enough. After several more years of teaching, I came to the conclusion that what we need is a much better understanding of students and learning from a motivational perspective, from a psychological perspective. What if doing well in school and in life depends on more than your ability to learn quickly and easily? I went to graduate school to become a psychologist. I started studying kids and adults in all kinds of super-challenging settings, and in every study my question was, Who is successful here and why? My research team and I went to the U.S. Military Academy [at West Point], [we went to] the National Spelling Bee, and we studied rookie teachers working in really tough neighborhoods. In all those very different contexts, one characteristic emerged as a significant predictor of success. It was grit. 24Life: Where does grit come from? AD: What I do know is that talent doesn’t make you gritty. Our data shows very clearly that there are many talented individuals who simply do not follow through on their commitments. So far, the best idea I’ve heard about building grit in kids is called “growth mindset.” It is the belief that the ability to learn is not fixed, that it can change with your effort. A growth mindset is a great idea for building grit. This is true for adults and for kids. In other words, we all need to put more effort or grit behind getting grittier. 24Life: How does grit help achieve health and fitness goals? AD: There are other physiological things that are at play when you talk about weight, biology and habits to address. However, from a behavioral side, there are some things unique to gym-going, health and fitness. One thing that is true about the high-performer people that I study is that they have the end in mind, but also they become very process oriented. People who stay with something for a long time aren’t checking their progress every day. They start to feel rewarded by having the process—they start focusing on micro-goals. Another major factor relating to grit is the purpose behind the effort. Not just effort for effort’s sake, because that is not sustainable. 24Life: What does effort look like to you? AD: For me personally, when I notice an extreme amount of effort around a project, I have to think about it and it has never failed to reveal something. It’s like open water swimming: You’ve got to mostly keep your head down and paddle because that’s aerodynamic, but periodically you have to look up and say, “Where am I paddling to?” It’s a good practice to ask yourself periodically every six months or year. 24Life: Does grit dissolve fear or help us do things we don’t want to do? AD: It raises the question why people don’t do what they know they should do, like working out. Avoidance creates a cycle in which avoiding what you fear becomes its own reward. Exposure therapy is a technique that helps people overcome phobias through incremental experience. Over time, they discover what they feared is not so bad. Instead, you could start a cycle where you force yourself to go to the gym and see that it’s not bad, and you will start a virtuous cycle. 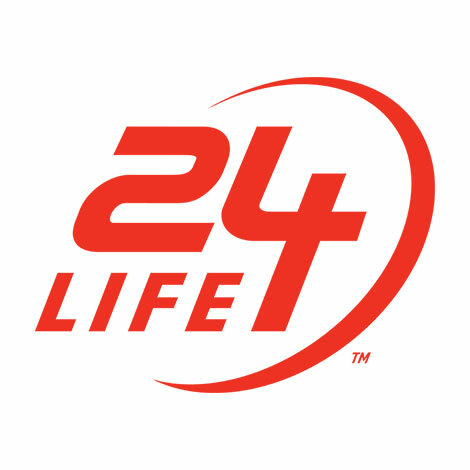 24Life: What’s next for you? AD: My top goal is not to make everyone gritty, or even to make everyone highly accomplished. My top goal is to help kids thrive. I’m doing more research in the area of characteristics just like I did with grit. That’s why my nonprofit is called Character Lab. I’ve got two girls, they’re 13 and 15, and if I had to choose between accomplished and nice, I would choose nice. If I had to choose between accomplished and honest, I would choose honest. I happen to think, and my data would support, that you can absolutely be both. … It’s complicated, but I think character is much broader than just grit. Angela Duckworth is the Christopher H. Browne Distinguished Professor of Psychology at the University of Pennsylvania Positive Psychology Center. She is also the founder and CEO of Character Lab, a nonprofit whose mission is to advance the science and practice of character development. Duckworth studies grit and self-control, two attributes that are distinct from IQ. She has received numerous awards for her contributions to K through 12 education, including a Beyond Z Award from the KIPP Foundation and a MacArthur Fellowship. Her first book “Grit: The Power of Passion and Perseverance” (Scribner, 2016) debuted May 3, 2016, as an immediate New York Times best-seller.